Some developers are trying new tactics to support prices, which estate agent Savills (SVS.L) sees falling 9 percent this year in central London, keeping them off the open market by selling part-built or planned projects to institutions and investment funds hunting for yield. 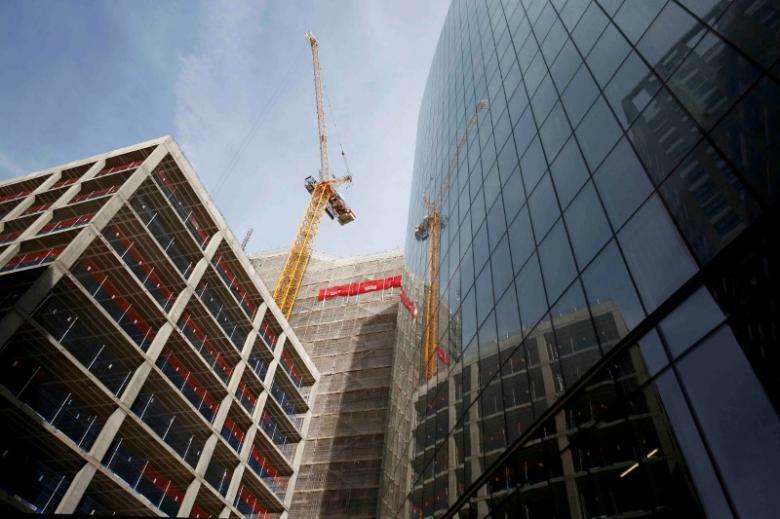 But managers at UK property consultants Jones Lang LaSalle (JLL.N) and Colliers told Reuters they had all helped close such deals since the Brexit vote and see a lot more in the pipeline. “I think that the opportunities coming our way have increased a little since the Brexit vote,” said Mark Allnutt, managing director of investments at U.S.-based Greystar, which is backing a 2,000 unit rental project in Greenford, West London. Allnutt said conversations with builders had increased around whether Greystar would help “derisk” housing projects by buying phases or plots of land on sites or partnering up to deliver rental housing alongside homes for sale. Knight Frank said the investment of large-scale investors into the UK’s private rented sector was likely to treble to 50 billion pounds by 2020. Build-to-rent is thriving in Germany and the United States but in Britain it is still tiny and mostly focussed on affordable housing for people on relatively small incomes. The interest from big institutions in rental investments is propelled by a global hunt for yield in an environment of rock-bottom interest rates. For developers, the fear of being stuck with empty apartments has grown since the Brexit vote in late June clouded Britain’s economic prospects and the government raised stamp duty tax on second homes and buy-to-let properties. British estate agent Foxtons (FOXT.L), a symbol of London’s booming property market in recent years, said on Wednesday that Brexit had led to a fall in transactions but it had secured new business from institutions moving into the private rented sector. Henry Pryor, a prominent agent for wealthy buyers, told Reuters he believed about half of London’s expensive flats in the pipeline would not be built as currently planned. Estate agents Savills (SVS.L) sees no recovery before 2019 from the estimated 9 percent drop in prime central London property prices this year. It also forecasts a 5 percent drop in other prime London areas. But there is no sign that supply of completed homes is about to collapse – quite the opposite. About 35,000 high-end homes have planning consent to be built until 2025, 40 percent more than the 25,000 that were in the pipeline a year ago, according to data from construction consultancy Arcadis (ARDS.AS). Managers at funds examining London rental investments said prime central London still looked too expensive to build rental housing for younger buyers priced out of the market. Three institutions said they were seeking new or partly completed projects starting from transport Zone 2 – London’s nearest suburbs. “We’re targeting the mass market, so the middle 60 percent of earners in London… (and) we’re definitely seeing more opportunity than we saw at the end of last year and even at the beginning of this year,” said Dan Batterton who heads the build-to-rent team at Legal & General (LGEN.L). Some deals are taking a while to close as builders and investors try to agree on a suitable discounted price. The CEO of developer Inland Homes (ILND.L), Stephen Wicks, said the company could offer a 6-7 percent discount on completed or planned projects. U.S. and German investors are leading the push, looking to replicate their success at home, said Andrew J Wheldon, a former RBS banker who currently heads the residential debt advisory team at consultant CBRE Group Inc (CBG.N). Overseas buyers have also been enticed by a plunge in the pound GBP=, which is at its lowest in about three decades. APG Asset Management, Europe’s largest pension fund manager with more than 400 billion euros in assets, is in talks with developers who “seem more open” to deals as they contend with the risk of “not being able to sell everything in the current climate”, said Martijn Vos, APG’s senior real estate portfolio manager. APG is backing a 44-storey build-to-rent tower in London’s Elephant & Castle neighbourhood. The asset manager is looking at 100-150 unit projects outside of London’s Zone 1 that could help it deliver an internal rate of return of 6-7 percent and match its annuity payments, said Vos. “If the market remains as it currently is, I feel there will be more such deals to come,” he said.